Circumstances beyond my control felt out of control. I wanted to reach through the phone, make one hundred calls, hop on a plane, consult Google, and curl up in a ball and cry — all at the same time. But I just kept repeating the words and watching my phone, impatiently waiting for an update. 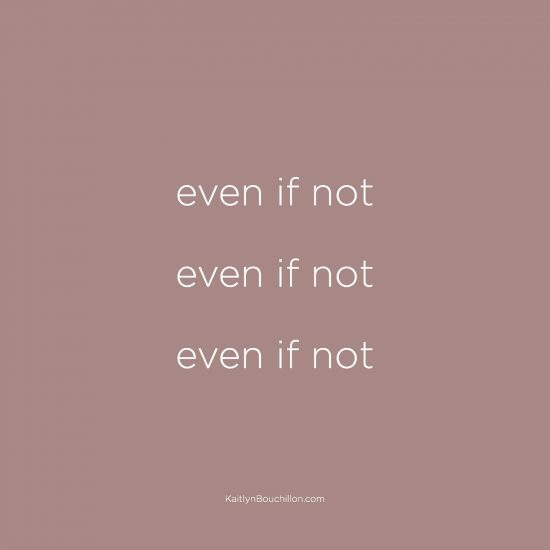 I wrote a book called Even If Not: Living, Loving, and Learning in the in Between. 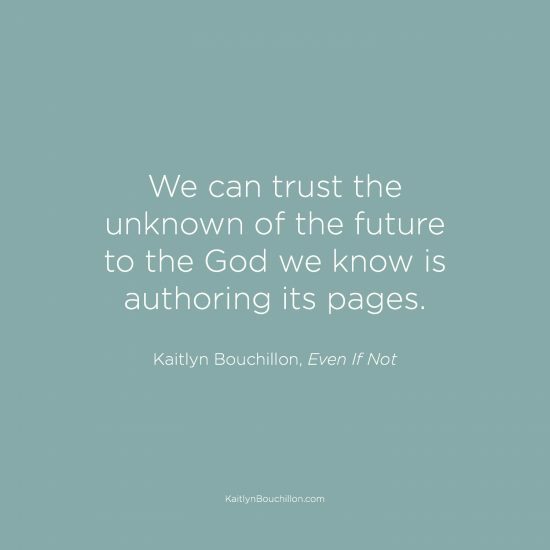 I spent months filling those pages, pointing to the goodness and kindness of God, the true Author of our stories — even in the messy middle, in the chapters that don’t quite make sense, the story lines we wouldn’t have chosen for ourselves. These words, along with a written-out prayer, were recently shared at More to Be. If you’d like to leave a comment or read the prayer, please click here and scroll down to the bottom of the post. I love it, too! 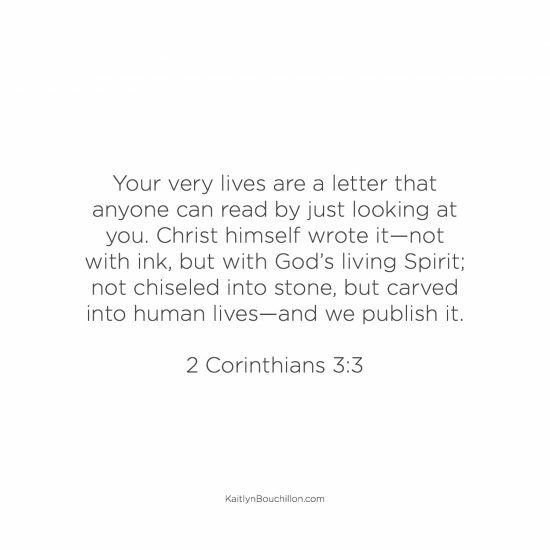 Living letters. Love your three powerful words. Wow. And I’ve been on the receiving end of a similar text message. Love your story here. I’m sorry to hear that, Bethany… I hope things are a bit calmer now? I’m so glad that God is my author. I’ve come alongside family members as they’ve struggled with cancer, depression, mental illness, and depression. Only God can reveal the beauty in those situations—and he has faithful revealed the beauty. Do you wonder why God is deepening Himself into your heart and life at so very a young age? I relate some, not all. But what you write, how you share and create is a beautiful display of Him and He is well- pleased. Praying God’s peace, joy and love on your soul this day from rainy and gray CA. Thank you for your encouragement, Sue. “but I was the story, and not the author” Oh wow. Love how you stated that… and the truth behind it. how many times do we want to be the Author and resist being the story written by a careful pen. Such a concept to hold onto when we try to make things come out the way we want and realize that we have no control, but are held by our loving God. thanks!! I don’t know about you, Karen, but that’s a daily wrestling! I’m grateful He holds the pen, though. Yes He is the Author of our lives & souls if we but allow the creative process, even in the midst of our greatest heart wrenching times. His strength is pure joy! Our stories will always be best sellers in Heavenly places. You’re most welcome to drop by with your favorite beverage & tasty treat for a time of reflection together.